JobTrain often hosts a variety of career fairs to help past students and members of the community get connected with employers who are seeking new talent. On August 22, one such event took place. 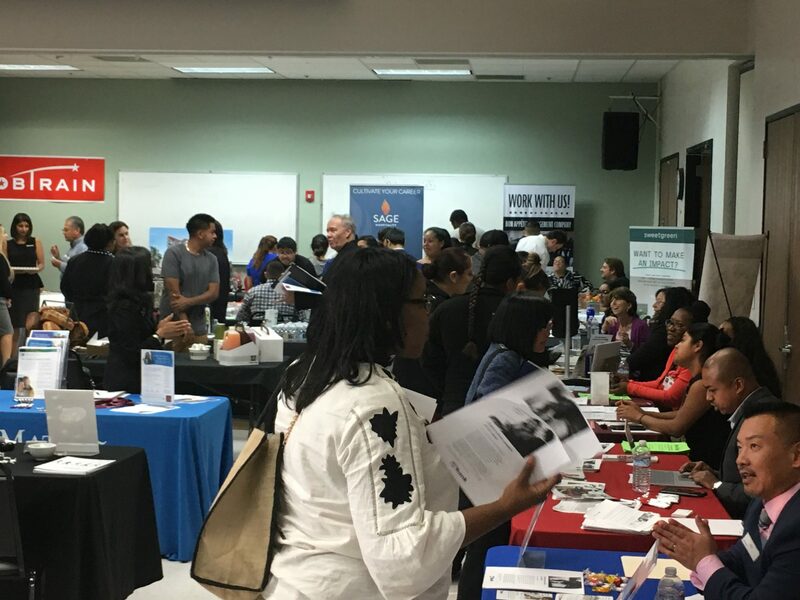 Over 25 employers were represented and nearly 100 job seekers attended the fair, spoke with company representatives and are taking the next steps toward employment. Please follow JobTrain’s social media and visit our website for information about upcoming career fairs and other opportunities, such as free community workshops.